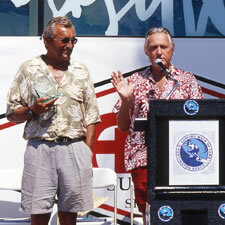 Tom "Y" Morey "2003 Surf Culture"
Tom Morey is a wave-riding vehicle savant whose contributions to surfboard design may go down as some of the greatest every in the history of the sport. More than just a smooth-surfing Malibu local during the late 1950's, Tom is also a gifted musician and drummer who jammed with many jazz greats. 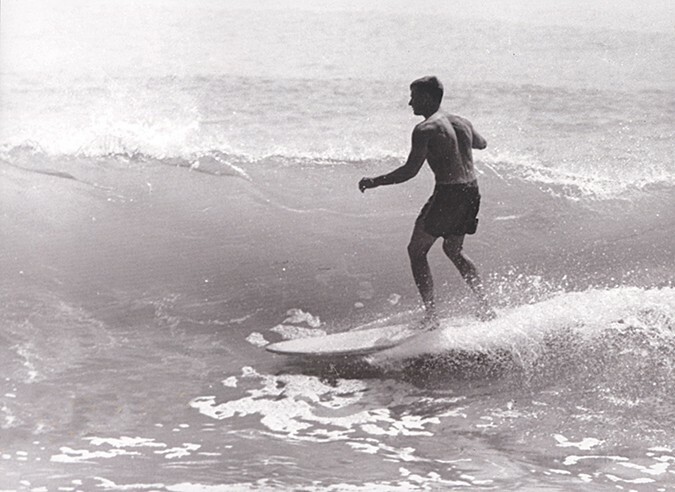 Morey is credited with hosting the first professional surfing contest in 1965's Tom Morey Invitational Nose Riding Championships held at C-Street in Ventura, California, an event won by Corky Carroll. With a degree in mathematics from U.S.C. and experience developer for composite materials for Boeing and Douglas Aircrafts, he has spent a lifetime bucking the rigid definitions of traditional surfing and surfboard design.